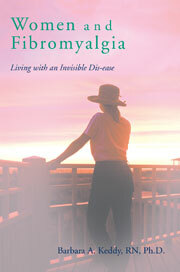 Given that modern medicine has been unable to find either a cause or cure for fibromyalgia it is little wonder that many have turned to an alternate way of viewing and discussing the body in order to deal with the many daily issues facing them. ‘Energy medicine’ is significant in that it has changed the discourse about the body and is the approach that is popular with those who are not mainstream health care practitioners, although, in fact, even some conventional practitioners embrace the paradigm, which continues to amaze me. Generally based upon therapies that evolved from Eastern philosophies, there is a great deal of confusion for someone sifting through the various ways in which energy medicine is presented. In most cases this belief system involves a ‘healer’, body/mind techniques and stresses self healing. It is believed by the advocates that it is a cure for many ailments, among them fibromyalgia, chronic fatigue and environmental illness. This entry was posted in acupuncture, auras, body discourse, body/mind, brain activity, chakras, chi, conventional medicine, Eastern philosophies, EFT, Emotional Freedom Techniques, empirical evidence, EMT, energy medicine, Fibromyalgia, healer, Jin Shin, mainstream medicine, meridians, mystical, NEAT, nervous system, Power healing, Pranic healing, Qi Gong, reiki, tai-chi, therapeutic touch, Theta healing, TT on July 11, 2008 by Barbara Keddy. People who suffer from chronic pain have generally found that physical touch is a valuable source of relief which can alleviate (or at least reduce) pain and enhance well being. Those of us who have fibromyalgia and are able to afford any of the various techniques of body work such as remedial massage, and jin shin jyutsu have found short term release of pain. Some even think that therapeutic touch is helpful, and although I fail to see how not directly touching the body can be helpful, many do find just that! I suspect it is from a placebo effect. I am not an advocate of that technique as I do not believe that ‘energy’ is moved around as those practicing TT do advocate. Instead I believe that direct touch can help with releasing tight muscles and bring about relaxation of the nervous system. I have usually benefited from the effects of these therapies. This entry was posted in complementary strategies, Fibromyalgia, healing touch, jin shin jyutsu, massage, reflexology, remedial massage, therapeutic touch on June 13, 2007 by Barbara Keddy.